Extended warranty adds 2 years or 50,000km over the standard 3 year/1 lakh km warranty. Introductory prices range from Rs 25,000 to Rs 32,000, depending on the variant. Can be transferred with ownership as well. Jeep Compass owners can avail an extended 2 years or 50,000km warranty from FCA’s Mopar warranty program for added peace of mind. The standard warranty on the Jeep Compass is 3 year/1 lakh kms, but for an additional payment in the fourth and fifth year of ownership, you can extend the warranty of your Jeep Compass to 5 year/1.50 lakh km. Here are the introductory prices which are bound to change from 1 June 2019.
additional warranty of two (2) years or 150,000 km on the Jeep® Compass. The new Mopar® Extended Warranty Program can be availed by all existing and new Jeep Compass owners. 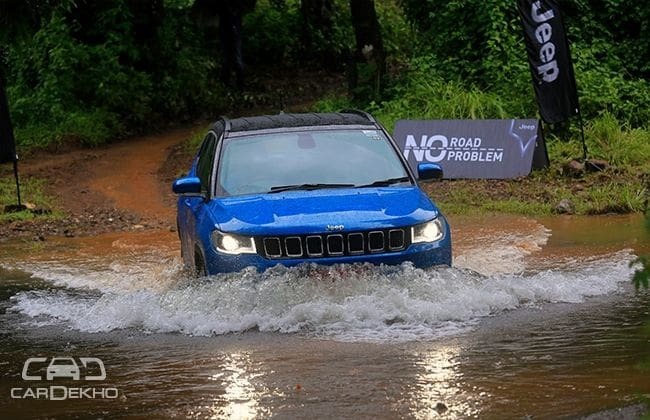 The coverage offered by this new program is identical to the comprehensive coverage that current Jeep Compass owners are enjoying as part of the 3 years or 100,000 km Manufacturer’s Warranty. The new Mopar Extended Warranty program is available at introductory prices, until May 31, 2019. Under Mopar® care Jeep®, Fiat and Abarth customers will experience a more efficient service delivery that will ensure a satisfied ownership experience.